This is the ultimate biography of Belgian inventor Adolphe Sax. On this page, you can see pictures of his inventions and watch relevant video. Best known for inventing the saxophone, Belgian inventor and musician Adolphe Sax also contributed to mid-nineteenth-century musical theory. But a tumultuous relationship with the musical world of his time made him a controversial figure. 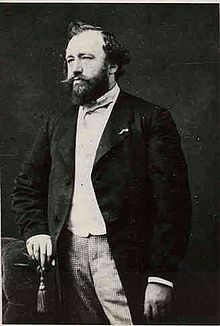 Antoine-Joseph “Adolphe" Sax was born in Dinant, Belgium in 1841 to Charles-Joseph Sax and Marie-Joseph Mason. Adolphe’s father was a joiner-cabinetmaker with a love of music. His father was also a self-taught man who began manufacturing instruments. The family had eleven children, of which only four survived childhood. Adolphe Sax himself was lucky to have survived childhood. Although there may be exaggerations over time, the list of his childhood injuries make a morbid picture. His bizarre near-death experiences included swallowing sulphuric acid and pins, falling from a third-story window, being caught in a gunpowder explosion, and being poisoned by varnish fumes. Continue reading this Adolphe Sax biography to find out more interesting facts about his life. This talented man grew up around his musical family and their successful workshop. He began experimenting with production of instruments at a young age. By the age of 15, he was winning at popular musical instrument competitions for his innovative designs of flutes and clarinets. At 16, he presented his work at the Industrial Exposition in Brussels, where his aim was to gain sway with French Military Bands. By 20, he’d created a drastically different clarinet which received rave reviews from the Paris Opera House. Upon entering the Royal Conservatory in Brussels, Adolphe Sax began to attract both the interest and jealousy of his peers. His irreverence toward traditional instrument styles created a stir in the musical world and made him controversial. However, his irreverence also led to a development of new musical scores that could be played only on his instruments. After leaving the Royal Conservatory, Adolphe Sax continued to work in Belgium until 1841. In that year, he moved to Paris. There he hoped to create new instruments for the French Military. To embark on this endeavor, Sax borrowed money and built a workshop. By 1844 he was presenting a version of a valved bugle at instrumental exhibitions in Paris. 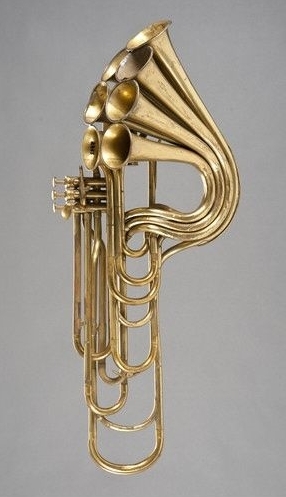 These, which he named “saxhorns" led to the creation of the flugelhorn and euphonium. He also developed a briefly lived instrument called the “saxtromba" that never met with any commercial success. However, saxhorn adoption spread quickly, including opera orchestration by Berlioz. The British Band movement popularized the new sound in the mid-to-late-19th century with touring groups such as the Destin Quintet, Jedforest Instrumental Band, and Hawick Saxhorn Band. 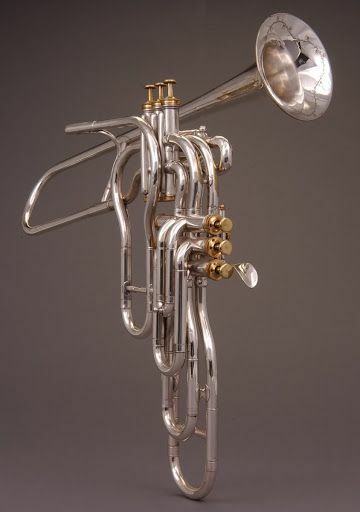 In the United States, the saxhorn would be the most common brass band instrument during the Civil War. 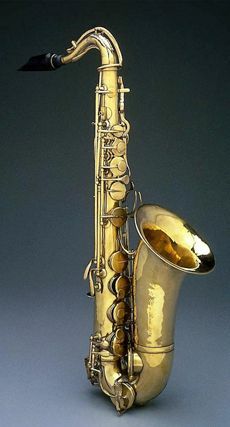 In 1840, Adolphe Sax invented the clirette-bourdon, which was unsuccessful design of a contrabass clarinet. Working from the premise, however, Sax gained a patent on the instrument known as a saxophone in June of 1846. While his dream was for his innovation to become part of standard orchestration, it never achieved success in that realm. However, it did earn him a role as a professor at the Paris Conservatory. Early attempts to utilize the instrument resulted in a variety of small ensembles that defied previous musical configuration. These included offbeat opera orchestration, quartets, and quintets. However, the saxophone’s sound never took off in standard orchestration. It wasn’t until the instrument found its way to America in the early 20th century that it finally found its home in jazz music. Combining traditional European orchestration with new sounds and African beats, jazz ultimately led the way to rock and roll, where the saxophone has remained a strong player through the current day. Unfortunately, classical European approaches found its success in American jazz as the final nail in the saxophone’s coffin as an orchestral instrument. The much-beloved sound today is still most associated with small ensembles. Sax gained and lost several fortunes in his lifetime. 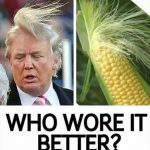 The cause of this were his competitors who contended he had stolen their ideas. Caught in constant law battles, the genius inventor went bankrupt twice. Adolphe Sax never married, but had a long-term lover, Louise-Adèle Maor. She was a Spaniard of poor birth. Apparently because of that, he kept her out of the public eye and never made their relationship official. However, they had five children, all of whom Sax acknowledged as his own. His father, after the death of his last minor child and loss of his business, moved to Paris to be with his son until his death. Adolphe Sax himself would suffer from lip cancer twice and survive. Though he died impoverished in 1894, he was interred at the famed Montmartre cemetery. His son, Adolphe-Edouard, continued the family business until 1928. Today, there are an interpretive center, gardens, and museum at the location of Sax’s childhood home in Dinant.